Kindle And Me...: The Quintessential Gemini by Linn B. Halton (Interview + Giveaway). The Quintessential Gemini by Linn B. Halton (Interview + Giveaway). The Quintessential Gemini by Linn B. Halton. Publication : June 7th 2012 by Sapphire Star Publishing. I'm happy to have Linn, author of Quintessential Gemini, here with us today. Thanks to her, I also have an e-book giveaway for you guys following the interview! Passionate, enthusiastic and obsessive. I’m a Gemini, so many will identify…. (laugh)! Yes and no. It’s difficult for me to judge, because when I write I take on each character’s mind-set. I’m not conscious of writing on their behalf, I feel more like I am the scribe and I’m simply writing as if I were watching what was happening. There are shades of me in some of the characters, but it’s minimal, the imagination takes off and each is a unique person in their own right. I miss them after I write ‘the end’…. I love eating out and will eat most things. One thing I could not live without is coffee, I know it’s a beverage but seriously, work would not get done without a strong cup of coffee! When you wrote The Quintessential Gemini what was your aim? I wanted to write something that was fun, quirky and romantic, with romcom moments. It’s all about three very intense people who are passionate about what they do and it was based on one simple sentence. ‘What if someone really did live their life according to their daily horoscope?’ It was fun to write! Two more projects this year. The next one is The Restaurant being published by Sapphire Star Publishing on Aug 2, 2012. It’s six individual stories all linking around the The Restaurant @ The Mill. It also has a resident spirit, a Victorian woman named Sarah. It’s about life, love, the baggage we all carry around with us and striving for a happy ending. It’s one I’ve loved since a child and with each passing day I realise more acutely the relevance of it! Name one thing you love and one thing you hate. I love date nights with my husband, we are both very busy people and making time for each other is essential. I hate drizzly rain because it makes my hair frizz! If you weren’t a writer what would you be doing now? Hands-on renovating another property. My husband and I have worked on 13 so far, we feel the current one is our last, especially now I write full-time. We are very happy having settled in Arlingham, which is in the UK a stone’s throw from the River Severn. I would also like to add a big ‘thank you’ for inviting me onto Kindle & Me, I’ve watched your website grow in complete admiration. It’s a joy to be here and it’s a pleasure to be with someone who is so passionate about books and so professional! 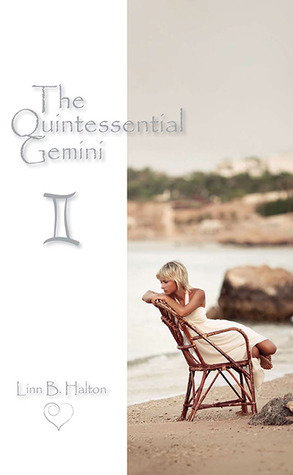 As I was saying, thanks to Linn and Saphire Star Publishing, we've an e-book giveaway of Quintessential Gemini for you today. So happy reading! Prize is an e-copy of the book. Linn B Halton lives in the UK, in the small Gloucestershire village of Arlingham, on the banks of the River Severn with her adorable husband and cat with attitude – Mr Tiggs! She writes romantic fiction with a psychic or astrological theme and many of the paranormal events that feature in her books are real life experiences. 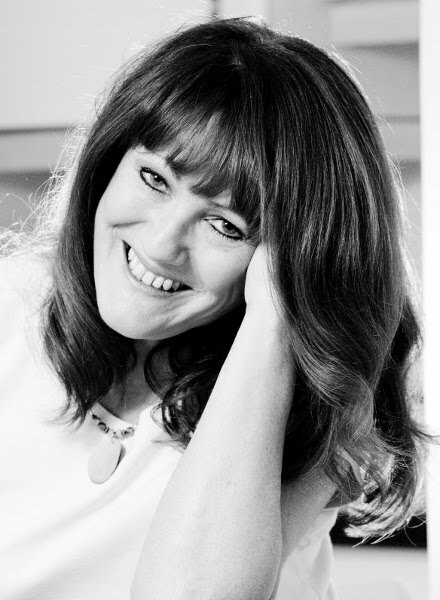 Linn is also a featured new Author on http://loveahappyending.com/ and Editor of the feature ‘Author & Associate Catch-Ups’ including ‘Reader/Author Team Reports’ on the website’s magazine-style blog. I do follow my horoscopes, although I haven't in a while. I like to believe in them but do so with a grain of salt. Sometimes they come true, sometimes they don't. It's still an interesting read. I have followed Jonathan Cainer myself for many years and find him to be amazingly accurate. Sometimes if I'm puzzled or can't understand the message coming through, I look back on the forecast a few days, a week or even a month later. Then it becomes clear. When reading forecasts we all tend to interpret them to reflect what we want to happen ... as in Katherine Dale's case in my story. However, Jonathan is truly gifted and has forecast some amazing changes for me throughout my life, things I could never have anticipated. Thanks lovely Anjana, it's a delight to be here and to Na and Jen for stopping by! I'm a Sagittarian and a selective horoscope believer. I tend to consdier the good bits and usually disregard the bad ones, hee hee. Probably defeats the purpose! I've just started reading TQG and I adore Katherine as a character. What a great opening scene! Congrats to Linn on launching this amazing book and thanks to Anjana for hosting a stop on the blog tour! I loved reading your answers to the questions in Anjana's interview, Linn. I now have The Quintessential Gemini on my Kindle! What a great post ladies! I truly enjoyed it. I'm a cancer and supposed to be sensitive. However tell that to my husband! He's in awe of you Stephanie! He's cute too! Prepare recheio fácil de bolo de pote: lave e golpe os moranguinhos em pedaços ou em rodelas, e também misture leite com leite compacto, para obter uma calda menos espessa.